On February 24, 2018, the Vaughn College Colony was voted a Charter by the National Council of Alpha Phi Delta, as our Epsilon Xi Chapter. 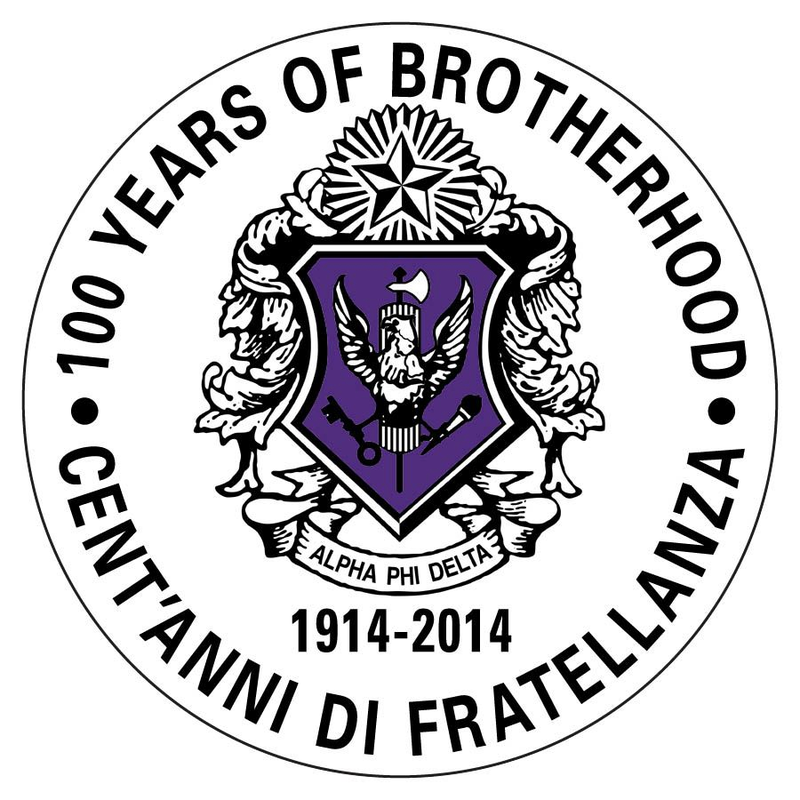 Epsilon Xi is the Fraternity's 107th Chapter. Here are the brothers of Epsilon Xi proudly showing off their new charter during a break at our National Council meeting. 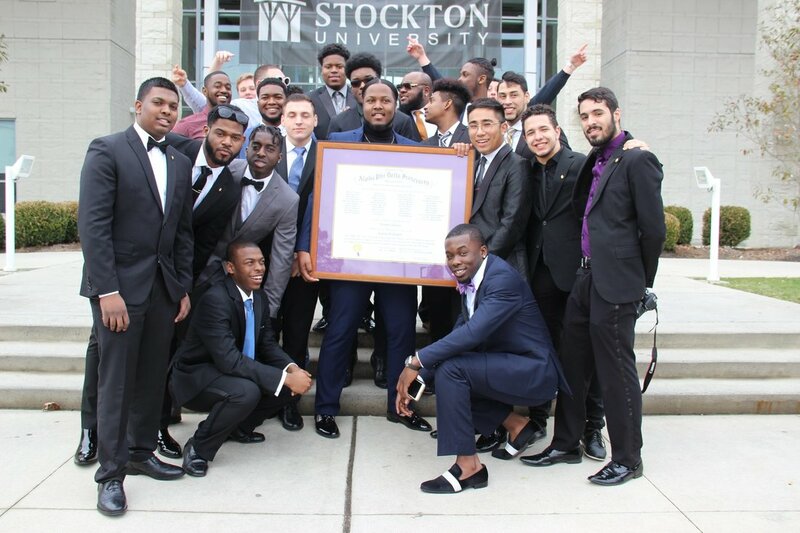 The Epsilon Xi Chapter will be part of the Fraternity's New York City - North District. The Vaughn College Colony continues its successful growth with the initiation of its Beta Class on April 10, 2017. Present for the Initiation were Expansion Chairman Salvatore Flagiello (far right), and National Historian, Ronald Sme (immediately behind Brother Flagiello). Vaughn College Colony Takes Its First Step: Alpha Class Starts! 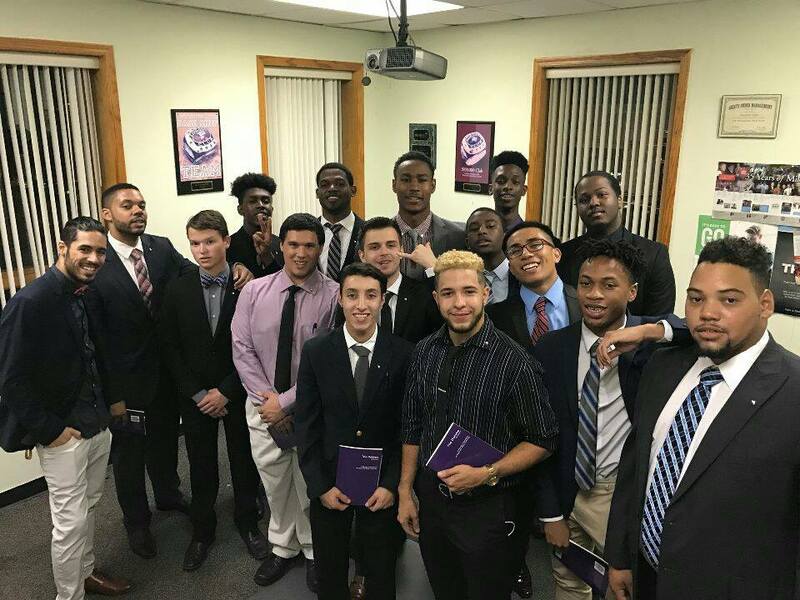 The Vaughn College Colony of Alpha Phi Delta was begun on October 4, 2016 with the Baptism of 16 prospective members. Expansion Chairman Sal Flagiello and Project Manager Ronald Smé were on hand for the gathering. 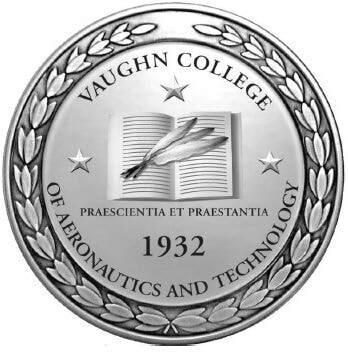 For information about Vaughn College, click here. Benjamin Lugonic is the President of our Epsilon Xi Chapter. Alpha Phi Delta Fraternity's National Council has allowed students of Vaughn College to join our fraternity since February 24, 2018.